Afford Industrial hace presencia en el FESPA 2018 de Berlín(Alemania). Además la capital alemana, que fue la anfitriona durante FESPA 2007, se convirtió en una de las ediciones más memorables en los 50 años de historia del evento. Afford Industrial hace presencia en la Expo ISA de Orlando. Una de las más importantes Expo sobre artes gráficas de EE.UU. 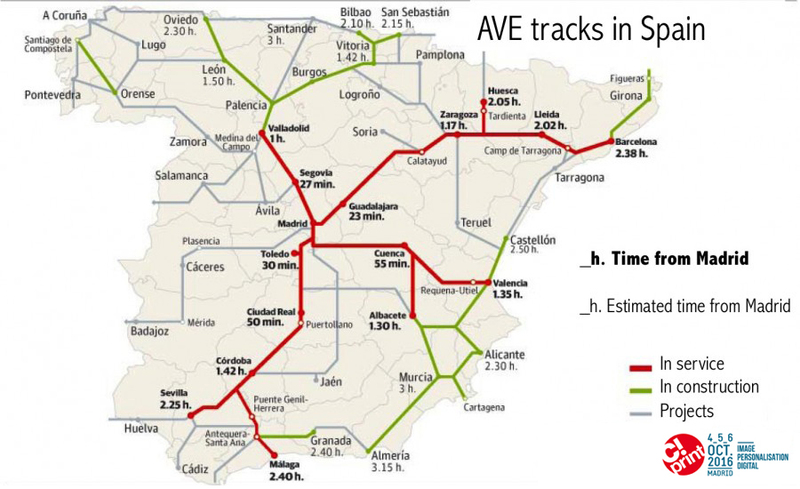 Probamos la calidad de nuestras tintas en las impresoras ESS y el resultado es inmejorable. Acércate al único espectáculo en el que te alejarás inspirado para expandir tu negocio con ideas inteligentes y nuevas tecnologías. Este es el momento perfecto para realizar compras y actualizar equipos. On Tuesday, December 12, the National Meeting of Innovative Companies was held in Madrid, where our company AFFORD INDUSTRIAL was invited to be a strong player in the national innovation scene. During his speech at the National Meeting of Innovative Companies organized by the Center for Industrial Technological Development (CDTI), De Guindos has appealed to the collaboration of the different political groups to reach great consensus that are translated into agreements and measures to promote the I + D + i. De Guindos has pointed out that innovation “is not an option” but “the only way to guarantee a stable growth model”. The Minister of Economy thanked the effort and work of the CDTI, which, he recalled, mobilizes more than 1,500 million euros annually to support business innovation. De Guindos has insisted that this should be “the key lever” to continue improving the productivity of the Spanish economy. The CDTI has gathered more than 500 companies to commemorate its 40th anniversary “as the main driver of business R & D & I” in Spain. In this period, the CDTI has supported more than 12,500 companies through different aid programs, among which is ours. M-40 exit- N-V direction Madrid. Slightly complicated access: there is a point where the Avenida de Portugal forks to the right and the Paseo de Extremadura begins; you have to take this turn off and, just as you start it, there is a small sign on the left that says Casa de Campo and which takes you into the side road of the new Avenida de Portugal, with a pedestrian area in the middle. This side road leads to the main entrance (Puerta Grande) of the Trade Fair grounds. 1st– N-5- Badajoz -Zoológico. This is the right-hand lane: it takes us to Puerta de Dante and is the best way to get to the Amusement Park. If we go straight along the central lanes, we come out again on the N-5-Avenida de Portugal and continue on to the San Manuel roundabout and enter through Puerta de Batán. This is the best entrance for the Zoo. 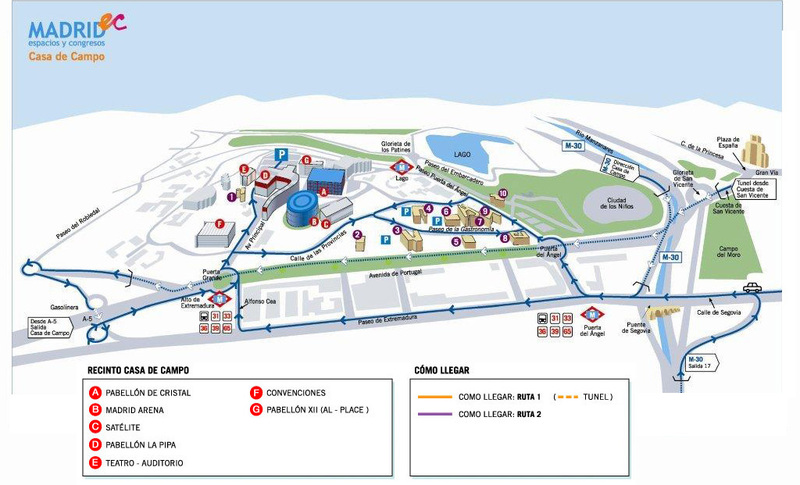 2nd– C/ Segovia-Casa de Campo-Lago: this is the best way to get to the Lake area and restaurants and to Madrid Arena. You leave the M-30 on the Bridge of Segovia and turn to the left, taking the start of Paseo de Extremadura, continuing as far as Avenida del Angel and then turning left at the traffic lights, so you enter the Casa de Campo through Puerta del Angel. There is an exit to the right, indicating Paseo Virgen del Puerto-Casa de Campo, and which takes us to the Bridge of Segovia, where you then turn to the left, taking the Paseo de Extremadura as far as Avenida del Angel, which leads us into the Casa de Campo-restaurant area. RENFE and C!Print Madrid have partnered up to give visitors a 30% discount on their ticket. The offer is valid for all trains and all national journeys, one-way or return. It cannot be combined with other commercial offers. The ‘travel authorisation’ will be valid from October 4th to October 10th. Visitors will receive the ‘discount authorization’ from the organiser and must present it at the approved points of sale (stations and travel agencies) in order to obtain the discount when buying the ticket. These tickets may also be purchased via the Internet. Visitors must present the train ticket together with the ‘discount authorisation’ to RENFE staff on request. The project IMPRIME obtaining new strategic products for the automotive, aerospace and appliance technology through digital printing inks (inkjet). Digital printing of decorative and functional coatings is an alternative to traditional processes such as pad printing, screen printing or flexo, allowing customization of consumer products with savings in production costs, better utilization of raw materials , lower energy consumption, environmental improvements and shorter between design and manufacturing times. However, the implementation of inkjet printing technology in the three industries mentioned above requires, on the one hand, the development of new strategies deposition that address the complexity of the shapes of the parts to be treated, and on the other, development inks specifically formulated for this technology and for each particular application.